Now that LIB is finished with her charter life, we are implementing some changes to make her a bit more specific for our use. Some of the changes will be made immediately while still at TMM and others will be made when we are in Puerto Del Ray Marina in Puerto Rico. My sailing friends can probably imagine several of the items on the list. My land loving friends will probably shake their heads at the items needed. But anyone who knows Frank can imagine the detail and thought put into the list…. Would you wager it is well organized? I am fortunate to have such a capable captain; and no, I don’t mean the dog! PDR is a very large marina. Frank has put together a spreadsheet of changes that includes everything from important functions to pure luxuries. The list includes 66 items that range from maintenance to extravagance; from a one hour DIY to a 3 week contractor job. We will not complete all of the items on our list because we are not sure we truly want all of them and the costs would be prohibitive. Below are some we know we will complete before we leave PR. Let It Be is Helia hull #4 and was built with the original specifications. On later hulls, some changes were made to improve the Helia. One major revision was to the steering system which was underrated for the early Helias. We have already had to replace the steering cable on LIB twice. Fountaine Pajot has changed the steering on later Helia models from a teleflex push pull rod system to a hydraulic one. We have reviewed a couple of steering options and decided to install the warrantied system FP is now using. Some people dislike the lack of feedback on hydraulic steering, but we are willing to loose some “feel” in our steering to insure it will hold up to the weight and size of the boat. 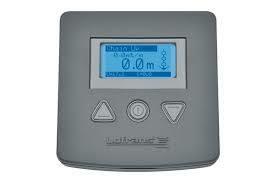 Our windless has been extremely reliable and the size is sufficient. However, the whole windless was installed a little too close to the starboard side of the anchor compartment. We cannot fit the manual lever handle onto the gypsy cogs because the handle hits the fiberglass frame of the compartment. This means that if our windless failed, we would have to pull the anchor chain up by hand. The plan is to move the windless slightly to port so the lever handle can fit onto the gypsy in case we have to use it manually. When we adjust the windless, we will also reinforce the platform of the windless to make it a bit more substantial. While the platform is adequate, we think it would be better if it was stronger. Finally, we will install a windless remote at the helm station which will deploy and retrieve the anchor as well as count the amount of chain released. We found that the most limiting factor in our six week trip this summer was water. It is very possible to live without a water maker, but I found water was a focus of my thoughts whenever we ran low. In other words, running low on fresh water made me nervous. In my opinion, there are many things that require attention while sailing and I don’t want water to be one of them on Let It Be. 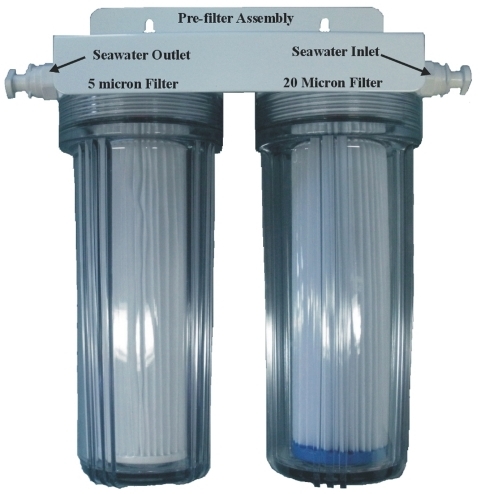 RO 30 GPH Watermaker Pre-filter. We have decided to add a Coltri MCH6 110V compressor to LIB. The convenience of refilling tanks on board and avoiding transporting them in the dinghy every time we need to refill is worth it to us. Plus this allows us to have a total of only 4 tanks on board which reduces the weight on LIB and means we need to find a storage place for fewer tanks. The cushions on LIB have always been an issue with me. They were ordered in a neutral color for a charter situation, but they are BLAND and hard. 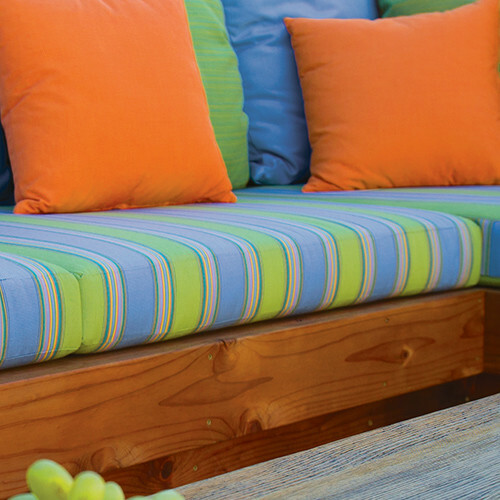 We will replace all of the outdoor cushions while in Puerto Rico. This is a major investment, but it is also the best way to make the boat unique to us and add some color. I have been wrestling with the cushion material for months now and I am so tired of thinking about it that I am ready to just pull the trigger and order the fabric. I just pray that I like the final product because the cushions will need to last a loooooong time to get our money’s worth! A combination of this stripe and the solid blue will be used for our new cushions. These are the big ticket items on our spreadsheet that we know we will install. Other expensive additions we are considering are an enclosure for the helm, a sun shade for the aft side of the cockpit, additional solar panels and new sails. But we are not sure what we want or if these items are necessary, so we will probably put them off until the end of our first full season aboard. We do have plans to upgrade our communications options, but I will cover that after we have fleshed out our decisions a bit better. Tortola Marine Management has done an excellent job of maintaining Let It Be, but we want to be sure she is in tiptop shape when we depart. To that end, we have a very long list of maintenance items on the spreadsheet. Frank has done a tremendous job of listing each task along with the supplies, parts and tools required for each one. He has also assigned particular jobs to each of us. I see a good amount of learning in my near future as I tackle some jobs I never imagined myself taking on. I both look forward to and dread the challenge. I am sure I will have some embarrassing interesting stories to share. It’s a little daunting to know I will be doing the maintenance on parts we will rely on every single day! Care to share any tasks you have taken on that you never expected to tackle? I could use the encouragement! Posted on August 19, 2015, in Uncategorized and tagged anchor windless, catamaran, charter, compressor, cruising, fountaine pajot, Helia 44, Let It Be, LIB, live aboard, Puerto del Ray, sailboat, sailing, TMM, Tortola, water maker. Bookmark the permalink. 3 Comments. I fear you are correct that one job will lead to another unexpected one, but we will certainly get to know the boat better! 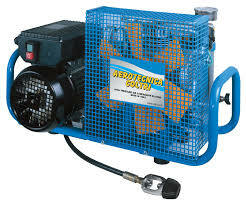 The compressor is a big luxury and we are lucky to get it. If we ever meet I am sure we can help refill your tanks.